Pop. 162. In the Town of Pickering, Durham Reg. on C. ld. 31, just S of Hwy 7, 11 km. NW of Ajax. Pop. 300. Part ofthe Town of Pickering, Reg. Mun. of Durham, at the headwaters ofDuffm's Cr. on Hwy 7 and C. Rd. 1, 10 km NW of Pickering. Part of the Town of Pickering, Reg. Mun. of Pickering on C. Rd. 27,8 km NW of Pickering. The name was suggested in 1875 by Irish immigrant James McCreight. Pop. 76,440. Town in Reg. Mun. of Durham created by regional goverment in 1974. Pop. 3,350. In the Town of Pickering, Reg. Mun. of Durham, on Duffin's Cr., 5 km from Pickering Harbour and C. Rd. 2, 35 km E. of Toronto. Pop. 63,552. In Reg. Mun. of Durham on Hwy 401 and C. Rd. 2, 37 Ian E of Toronto. 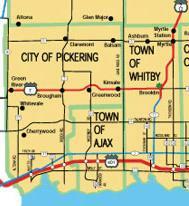 Part of the Town of Pickering in the Reg. Mun. OfDurharn, 9 km NW of Oshawa. Pop. 620. Part of the Town of Pickering, Reg. Mun. of Durham, on C. Rds. 1 & 5, 46 km. NE of Toronto. Pop. 273. Part of the Town of Pickering, Reg. Mun. 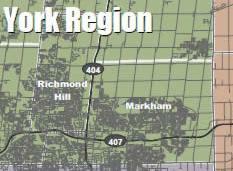 of Durham, 1 km S ofHwy 407 on C. Rd. 27. 11 km NW of Pickering. The post office opened in 1861 and was named after early settler Trueman White, who built the first mill. Pop. 200. Part of the Town of Whitby, Reg. Mun. of Durham, on C. Rd. 5, 17 km. NW of Whitby. Pop. 325. 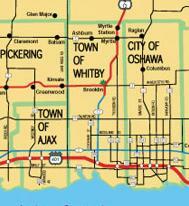 Part of the City of Oshawa in the Reg. Mun. of Durham on C. Rd. 2, 9 km. NW of Oshawa. A full service dollhouse & miniature store providing old fashioned service for all your building, electrical and furniture requirements. We carry stock from all major suppliers. Pop. 75. In Durham Reg. on C. Rds. 2 & 5, 15 km. NW of Oshawa. Experienced Sales Representative that provides friendly service. Pop. 73,586. A town in the Reg. Mun. of Durham on L. Ontario and Hwy 401 and C. Rd. 12,46 km NE of Toronto. Pop. 167 In Uxbridge T., Reg. Mun. of Durham on C. Rds. 21 & 47,25 km NE of Metropolitan Toronto. Pop. 374. In Uxbridge T., Reg. Mun. of Durham, on C. Rds. 1 & 21,39 km. NW of Whitby. Pop. 150. In the Town of Whitby, Reg. Mun. of Durham on Hwy. 7 & 12, 2 km S of Myrtle, 17 km N of Whitby. Pop. 329. In the Reg. Mun. of Durham, on the SW shore of 1. Scugog, 2 km. S of C. Rds. 2 & 21, 27 km. N of Whitby. Pop. 78. In Reach T., Ontario C. on C. Rd. 21, 23 km NW of Whitby. On an 1831 map the place is shown as McKercher's Corners on the Brook Road from Whitby. Pop. 200. Part of the Town of Markham, Reg. Mun. of York on C. Rd. 8,2 km N ofHwy 7, 18 km NE of Toronto. Pop. 781. Part of the Town of Richmond Hill, Reg. Mun. of York on C. Rd. 1,24 km N of Toronto. Pop. 115. In the Town of Pickering, Durham Reg. on Duffms Cr. and C. Rd. 31, just S of Hwy 7, 14 km. NE of Pickering. Welcome to the Markham Fair! Always the Weekend Before Thanksgiving!